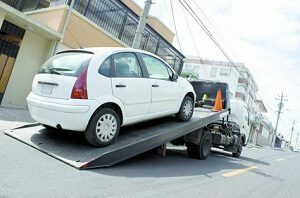 As the seasons change, and you change cars, the only thing that is consistent is the fact that WPB Towing Service is going to be there for you. We have been working in the West Palm Beach, FL area for more than a decade, and we cannot wait to help you with your next tow. We are your local option, and unlike the big guys, our trucks will be on route in a matter of minutes not hours. Give us a call today 561-257-3511, and see the difference that a quality company that cares can make on your next tow! Here at West Palm Beach Towing Service, we have been operating in West Palm Beach, FL and the surrounding area for years, and part of the reason for our success has been our drivers. Our drivers have been handpicked from all across Florida, and we only take the best. The selection process is unique in the towing industry, and we absolutely love it. It is a two-step process, the first is to verify and ensure that our driver’s record is clean. The second part is to review the customer service side of the individual and ensure that they are going to be a true ambassador for our company with the general public. When you choose WPB Towing Service you will notice the difference with our drivers, and we cannot wait to be there for you! When a tow truck company is trying to establish itself, they will have a handful of trucks. These trucks are not cheap, and a proper maintenance schedule does not make things easy for the little guy. But here at West Palm Beach Towing Service we have been fully stocked for a number of years, and have a fleet that can handle just about anything. We have our heavy duty tow trucks that are designed for those with large tractor trailers or charter buses. We are one of the only companies in the region that can handle these tows and are available twenty-four seven. Our medium duty trucks are designed for those trucks and vans that are loaded with tools. We know that you need to get going, so we will work with you to ensure that you are back on the road as soon as possible. Finally, our bread and butter are our light duty tow trucks. These trucks are what we started with, and will be able to service your car or truck back to health. Unlike the other guys, the leaders at West Palm Beach Towing Service are available around the clock if you are in need of a tow. No matter if you are broken down in the suburbs that surround West Palm Beach, FL, or right downtown, our trucks will be able to get to you and get you back up and running in no time. Make sure to call our team 561-257-3511 when you are in need of emergency services, and you will quickly see why WPB Towing Service is the number one name in the area. 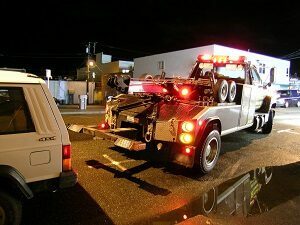 If you are in need of a great towing option in Lake Worth, FL, the call you need to make is to WPB Towing Service. We have been providing heavy duty towing options for those who need it for years, and with our great drivers, and even better rates, you will soon see why we are so popular. We have worked with independent contractors and those who have fleet operations, and will gladly take you back to the yard, your own mechanic or one of the many trusted mechanics in our area. For those that work for a living, the team at West Palm Beach Towing Service is here for you. We have been working with small and medium enterprises for years, and with our trucks, we will get you back up and running. No matter if you are needing a tow to your mechanic, or need a mechanic to trust, the team at WPB Towing Service will get it done. 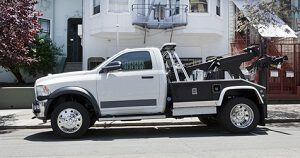 Remember, if you are looking for a medium tow truck service, the only place to call 561-257-3511 in Palm Beach, FL is the team at WPB Towing Service. Riviera Beach, FL has the best light-duty towing option in the state. Here at WPB Towing Service, we have been proud to be featured as one of the premier towing services in the state. We have been completing light duty towing for the great people of Riviera Beach, FL for a number of years, and no matter what is wrong, our team is here to help. This is our bread and butter, and we have a fleet that can handle any number of towing requests during a given day. Give us a call 561-257-3511, and see why WPB Towing Service is the first name in towing here in Riviera Beach, FL. 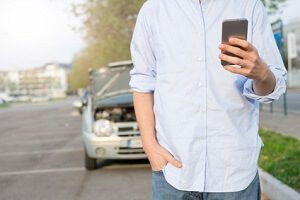 Roadside assistance is one of those things that you do not think you need until it’s a little too late. Unlike the other guys, the team at West Palm Beach Towing Service have continued to showcase that our roadside assistance program is one of the best in the state. With our service, you will be treated like royalty, with priority access to trucks and services stretching from one end of Florida to the other. You will also be able to have towing and other services covered by your one low fee. Call us today 561-257-3511, and make sure you are covered when you need to head out on your next road trip. 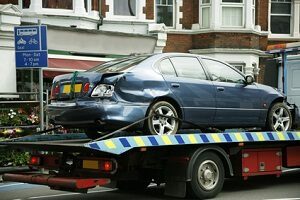 When you are dealing with an accident, the last thing that you need to worry about it what is happening with your car. You need to focus on your health and the health of those in your vehicle. Let the team at WPB Towing Service worry about your car! We have been providing accident recovery services here in Wellington, FL for more than a decade, and we cannot wait to help work with you. No matter if it is a fender bender, or something a little more major, the team at WPB Towing Service is here for you. Have you ever tried to change a tire at home? It seems a little easy, but when you need to change a tire on the side of the interstate during the night… it’s not easy. This why you call the experts at WPB Towing Service to deliver a top-notch tire change service. We have been doing it for years, and no matter if you are looking for a quick tire change, or something a little more substantial, our team is here for you. Call our team today 561-257-3511, and get back on the road in practically a few minutes! Now is the time to realize that you should skip the clothes hanger, and simply save your time and your paint job and call the team at WPB Towing Service. We have been working with those who are a little forgetful for a number of years and can easily get you back in your car. Our lock out service will ensure that you are back in your car by the time the ice cream melts! The next time you need a lock out service, let the team at WPB Towing Service complete the job. 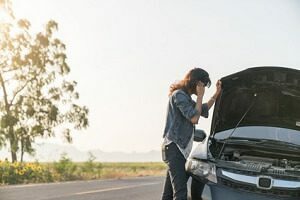 When you are looking to get a jump start, skip the whole asking someone that might be able to help you out with jumper cables, and simply jump up and call the team at West Palm Beach Towing Service. 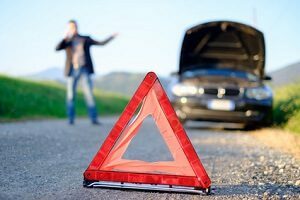 We have been providing jump start services for Lake Worth, FL and beyond for years, and will be able to get you back up and running in mere minutes. We do not use a standard battery, instead, we will be able to get you jumped with one of our extra large batteries These batteries will ensure your battery will be good to go, and the bonus is it will not take hours. Let our team be your jump start, and you will save time and more importantly a headache! Running out of gas is never ideal, but this is especially true in Palm Beach, FL. We here at WPB Towing Service have been completing gas deliveries for cars, trucks and even buses. You are given the option, you can either be topped up with enough gas to make it to the next gas station, or we can fill you up and have you on your way without concern. Call our team today 561-257-3511, and see why so many have trusted the team at WPB Towing Service for all of their gas deliveries in Palm Beach, FL and beyond.